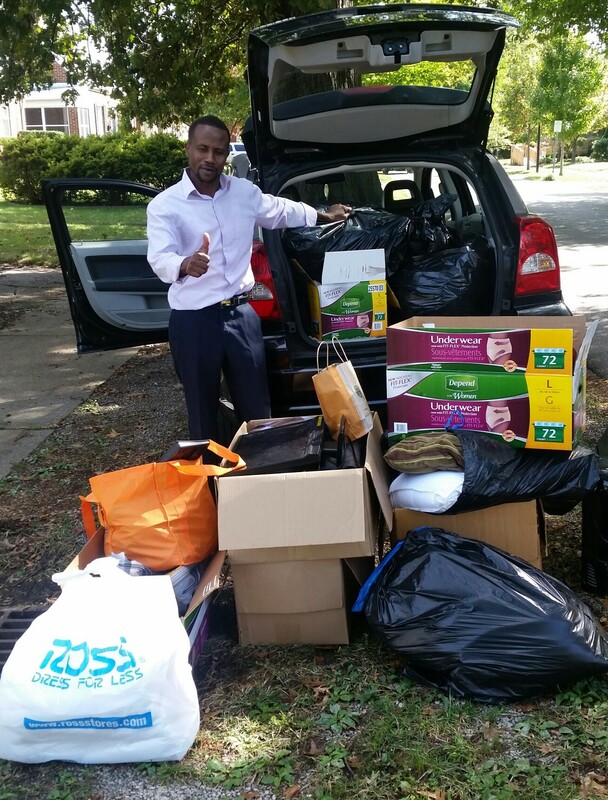 This picture is of donations people have given to us for our new arrivers in our community. This is all good stuff to use: a computer, shoes, clothes and blankets. We keep our promise to help our people. This was taken of me, Khamiss Youssif, the President of DOHS, on October 4, 2015 in Louisville Ky with the donation from Sunrise, an assisted living home in town. These are more donations people have given to us: clothes, shoes, and a computer.